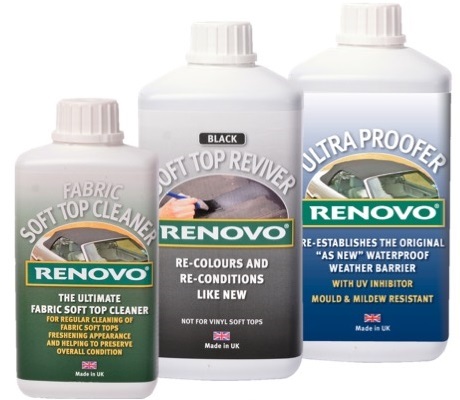 Step one – To begin, you need to clean the hood with Renovo’s Fabric Soft Top Cleaner. Removing previous applications of waterproofing products, dust, dirt, mould, mildew and tree sap will provide the best surface for applying Renovo’s Reviver. 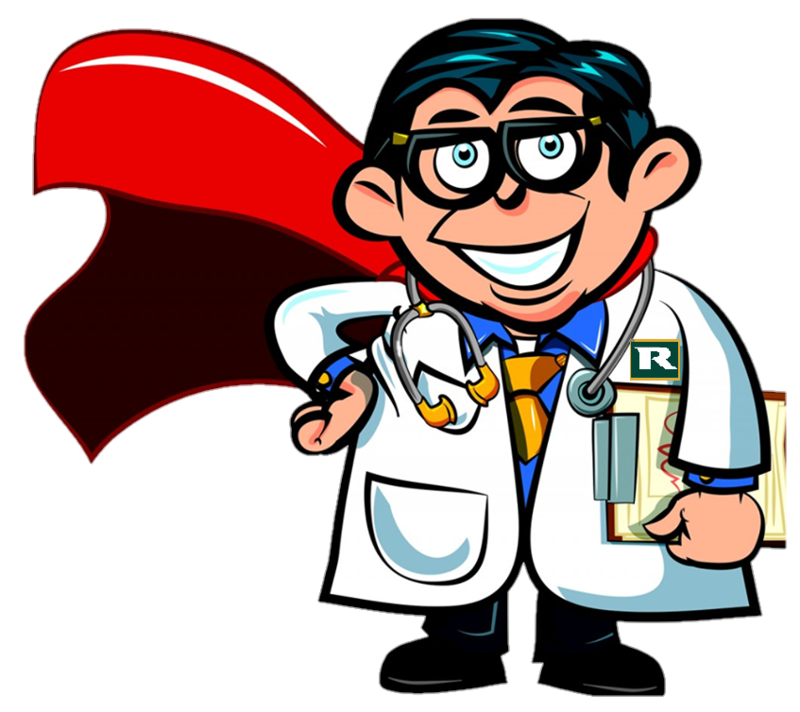 It is imperative that any previously applied waterproofing agents are completely removed, as Reviver, the next stage in the treatment is water based. 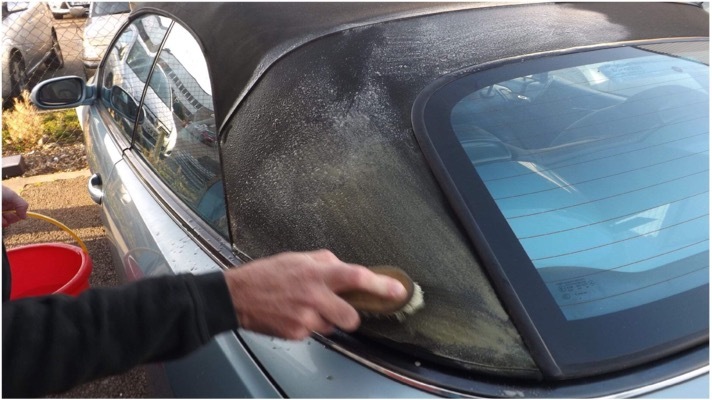 Hence, if Reviver is applied to a soft top that has residual water proofer within, the Reviver is not able to soak through evenly and this will give a patchy result. Mist spray the top and then paint on Fabric Soft Top Cleaner. Leave the solution to process for approximately one hour, the optimum time for the active ingredients to work. Using hand hot water the surface should then be scrubbed with a bristle brush, being careful around stitched areas and windows. It is essential to use hand hot water. Finish by rinsing off with water. Repeat the whole process as necessary. Step two – Adding colour. 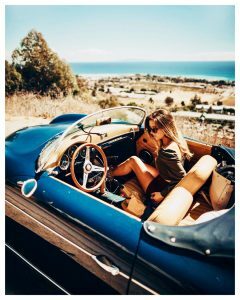 When you are sure that the soft top is adequately prepared by your cleaning process, that is, all water proofer has been removed and the fabric is as clean as possible; you can begin application of Reviver. Apply with a new/clean 5cm brush applying even strokes. Starting in the middle, work to each side, the front and the back as quickly as possible keeping all the edges wet to avoid join lines. You may require 2 coats for greater depth of colour. 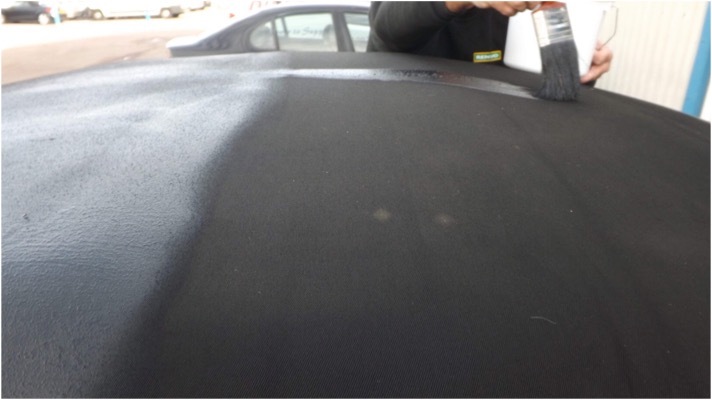 Step three – weather protecting your soft top. Ultra Proofer is the last product to use; it is neutral in colour so suitable for all shades of soft top. 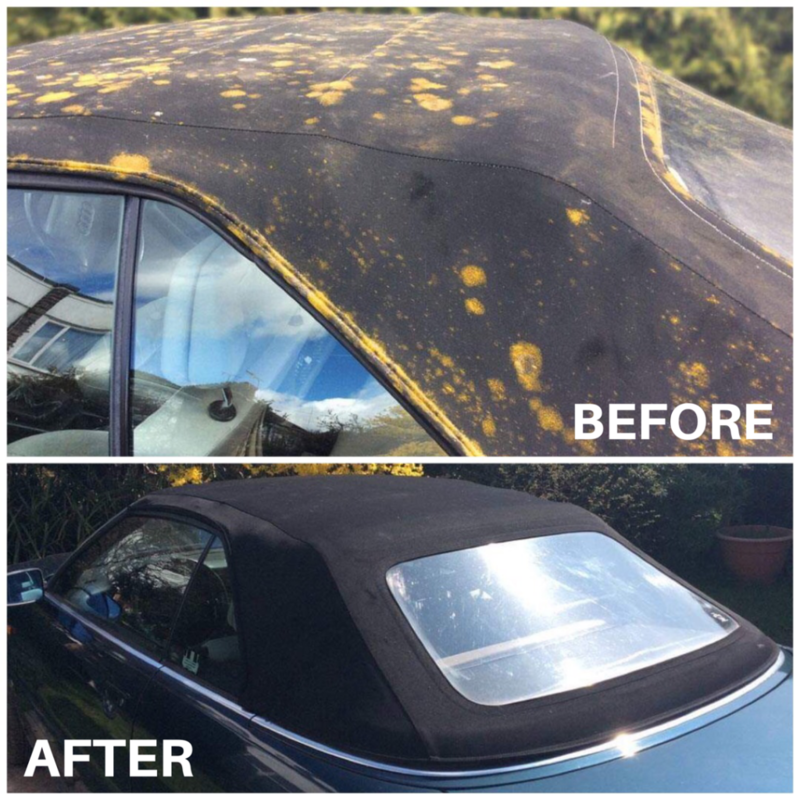 It can be applied to protect the original colour of your soft top or to prolong the life of the re-colour afforded by Reviver. 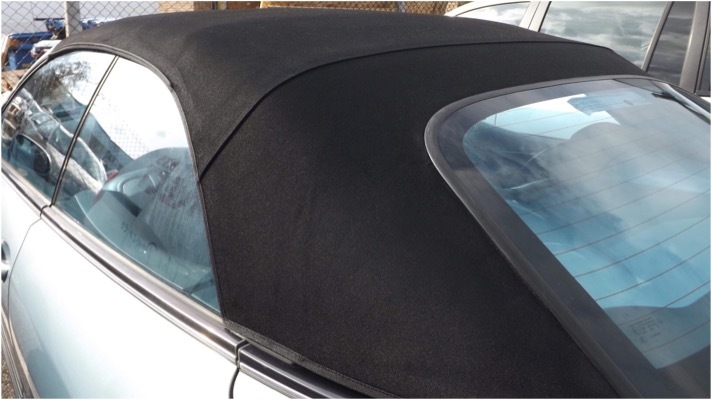 The recently improved formulation now has the added benefits of UV protection and a mould/mildew growth inhibitor to ensure convertible tops are protected and look better for longer. I recommend that to achieve optimum protection, Ultra Proofer should be applied about every six months.